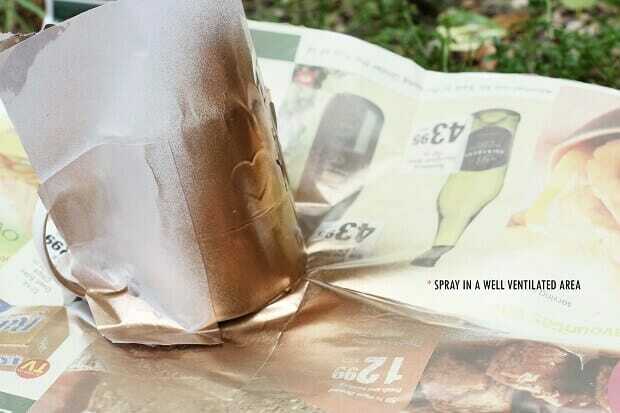 We love getting our hands dirty with DIY and craft. 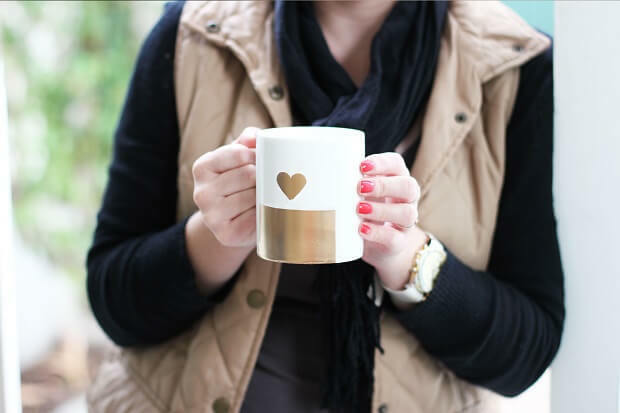 Robyn and I thought up this next DIY over a cuppa, which totally inspired the theme for this DIY. 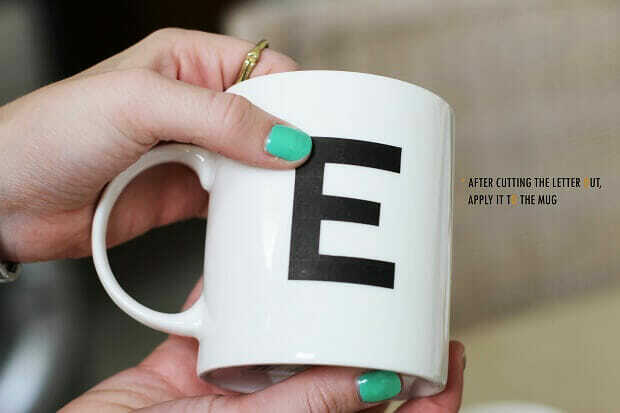 We love bringing typography into real life and love that the mug can be used in a different context. SIDE NOTE: We bought plain and simple mugs from Pick n Pay for about R12.00 each. 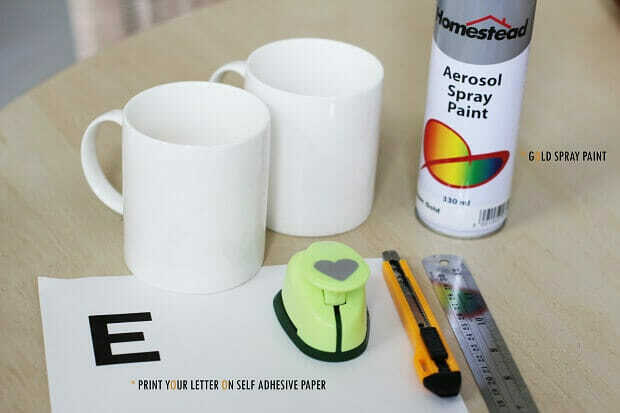 It is important that the mugs don’t have any embellishments or taper, this will help when applying your adhesive graphic. 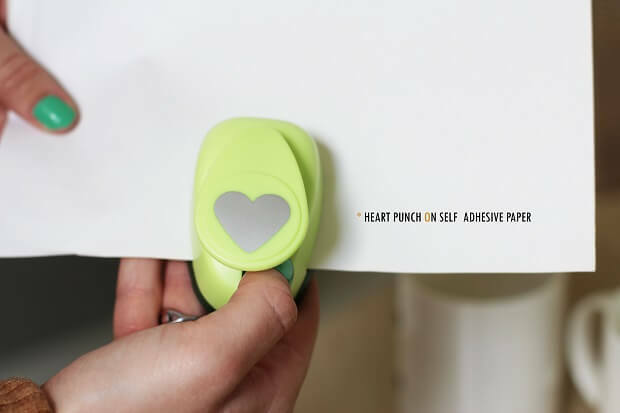 On a separate piece of self adhesive A4 printing paper punch out a heart shape, peel off the backing and apply to the mug. The position is entirely up to you, you can also cover as much of the mug as you like. We decided to leave the handle and a strip at the bottom exposed. SIDE NOTE: Make sure the edges are stuck down properly, should the spray paint bleed you can fix/clean the edges with an ear bud and nail polish remover. 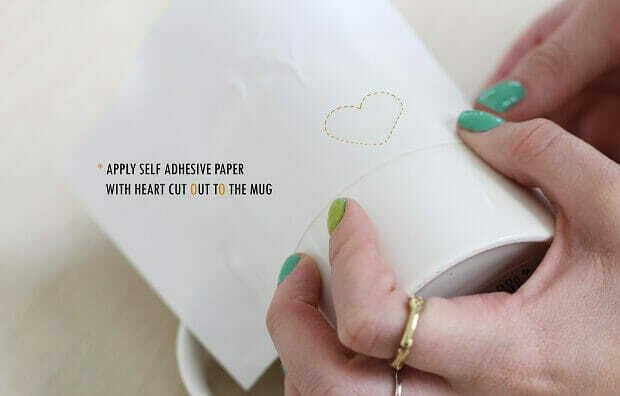 After cutting out your printed graphic with a ruler and stanley knife, peel off the backing and apply to the mug. Again the position is up to you. 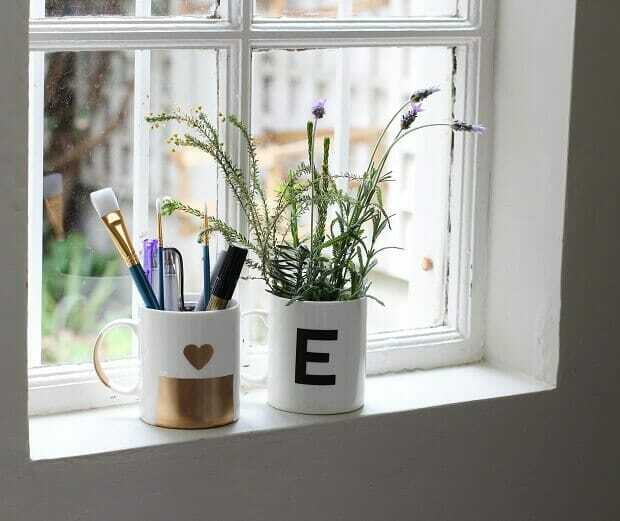 We love how this DIY turned out, both options are quick and easy to do. If you do decide to try this at home tweet us using our hashtag ( #zanaproducts ) or tweet us directly ( @zanaproducts ) to share your designs. We would love to see them.